The day began with a casual stroll from the wristband exchange to Belgrave Music Hall and Canteen. The first band of the day at this venue, Polo, got things started at midday. As often seems to be the case with Live at Leeds, just before the performance the room seemed to be empty. Then, just as the duo began their set, a steady stream of music lovers began to filter in through the doors -until there was a sizeable audience. Despite Polo only being comprised of Luke Lount and Kat Mchugh, the mixture of ethereal vocals and brooding bass heavy production creates a wonderfully modern minimalist sound (which was ably assisted by Belgrave’s first class acoustics). 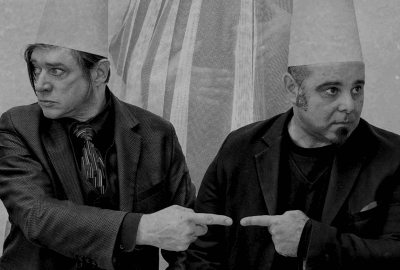 As the set continued, and the room continued to fill, it became increasingly evident that Lount and Mchugh were confident on stage and appreciative for the crowd’s reception and attentiveness. Next was a trip to Brudenell Social Club to see Actor. Whilst making my way up to Hyde Park on the 56 I got chatting to a young fellow who had made the journey from Birmingham for the day’s musical festivities. 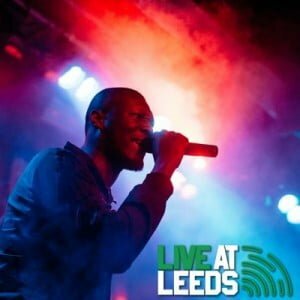 I only mention this since it served as a welcome reminder that Leeds is rightly held in high esteem for its musical credentials all of the UK, but more so that despite some people’s protestations the potential to see so much live music in one day, for only £29, is an unsurpassable opportunity. After being saddened by the demise of Witch Hunt, like many others, I was pleasantly surprised to hear about their reformation under the name Actor. This new incarnation feels just as original as Osborn and Mulligan’s first offerings, but the addition of powerfully driven riffs, punchy yet melodic production, and invigorating drums (played by Ste Anderson) is a lot more uplifting. The musicianship of all three members combines wonderfully with Louisa’s commanding vocals to create a sound that, at times, resembles London Grammar. The songs are expertly crafted (particularly the recently unveiled Feline) and would feel right at home on most BBC 6 music shows. 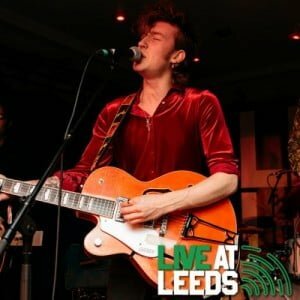 This is surely a fact that will not go unnoticed over the coming months, as Actor are sure to be another one of Leeds’ great musical exports. The day continued with a trip to The Key Club to see an act that have already been noted as a flagship Leeds band of 2015, namely Brawlers. When a band prepares to begin their set faced away from the crowd, with their front man rocking back and forth in a similar motion to a baseball pitcher, you know you’re about to be hit with something. If you have seen this fiery four-piece before you might be worried that I am being literal here, thankfully this particularly packed Live at Leeds crowd were only attacked with the raw energy of the band. Each member of this pop-punk quartet performs for every second of their set, and it was evident from the crowd’s reaction just how entertaining Brawlers actually are. The proficiency of this live performance is something that has enabled them to secure tour dates all over the UK and Europe, both as headliners and as support on major tours. So, if you haven’t seen them yet, and you can handle a bit of rawkus musical fun, I would highly recommend it. Moving on to the O2 Academy, things changed pace again with a masterful set from Dry the River. The reasons for this band’s success became evident immediately. Although they come together musically as a great indie-folk ensemble, the cherub-like vocals of Peter Liddle mixed with the tight harmonies of the rest of the band to really create something special. These uniquely captivating qualities were further highlighted through some unfortunate technical difficulties, which forced the band to perform acoustically. Obviously, a venue as large as the O2, filled with a bank holiday crowd, is not the kind of place where silence can easily be elicited. So, despite those at the bar not having a clue what was going on, the audience at the front of the venue were really treated to something special. At this point in the set, and then as full services resumed with the stunning track New Ceremony, the sound felt like a perfect mixture of Fleet Foxes, Elbow and Arcade Fire. After such a unique and uplifting set, it was quite a surprise that the most pleasing performance of the day came from the youthful Yorkshire starlets Carnabells. Even though this band had a great year in 2014, there is no doubt that they have further developed their sound and stage craft. Now, rather than merely being driven by the nostalgic sound of a particular rock ‘n’ roll era, this set felt a lot more relevant. The precise and sun-drenched guitar melodies complemented the dual (and at times triple) vocals to create a robust and well-balanced Indie sound. 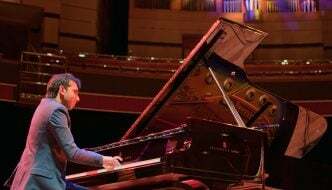 Not only was the music of an even better standard than the band’s studio offerings, there was also a greater feeling of showmanship here – something that the rapturous applause of the audience ably illustrated. If current progress is anything to go by, Carnabells may well find that last year will not be the only time they are asked to play such a prestigious festival as Glastonbury. Another spin of the eclectic roulette wheel of Live at Leeds lead me back to the Belgrave. This time the room was even busier and the crowd near the front of the stage were even more expectant, for the arrival of current king of Grime: Stormzy. Much is made of the potentials for overcrowding and an inability to get into venues by those who prefer traditional festivals over city events. Although it can be said that over-selling of tickets and a less even spread of acts has caused problems in the past, these issues simply were not apparent at the venues visited this year. Each location provided great audiences for the performers, but it has to be said that Stormzy’s crowd were the most amped that I witnessed. Sometimes Yorkshire feels like a million miles away from South London, but at that moment – as the floor bounced within an inch of its life – this crowd were putty in the Mobo award winner’s hands. As debut festival performances go this was a good one. Stormzy made it clear just how pleasantly surprised he was by the reception he received and vowed to be back soon. Just like that, there was only one performance of the day left. After a brief pause and a slight change of audience MNEK stepped on stage with what seemed to be almost gospel like intent, with two backing singers and a full band all dressed in white. He then proceeded to produce an authentically modern soul sound, which mixed strong vocals (reminiscent of Maxwell) with the exciting production of recent party starters Rudimental. An inspired cover of Lumidee’s Never Leave You, alongside an irony free display of formation dancing, made this a great way to end the day and propel the audience into the rest of their weekend revelries. 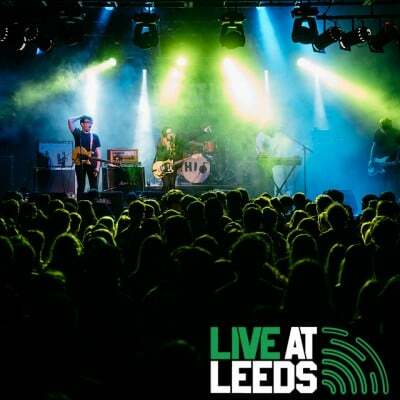 With Live at Leeds 2015 coming and going, it feels as though the summer festival season is now well under way. Obviously, we encourage you to get involved with as many musical (and arts) events before the sun goes down on what is always a brief summer. 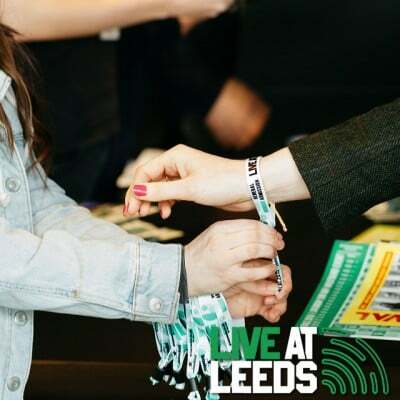 But, to all the people who were involved in this event over the past weekend: thanks for bringing your music, or your ears, to what was another great display of musical talent in Leeds.